Consagous follow Agile methodology for mobile app development with sprint cycles and detailed planning of the entire process. They schedule project delivery time as per the scope of the project and at the end of every Sprint, notified me about the project progression.Consagous Technologies possesses a vast array of experience and expertise in mobile app and Web development services. Consagous Technologies help us develop and android app they consistently meets deadlines and adjusts additional resources as necessary. The team deliver high-quality work and prove a thorough understanding of products. Strongly recommend. We loved our experience with Consagous in helping us build an ecommerce extension to our website. We changed directions often but they were flexible and easy to work with and did not try to take advantage of our indecision with extra charges. Their pricing is more than fair and they were communicative and always available. We did start to ask for things they didn't have the expertise to deliver and that is the only reason I gave them 4 rather 5 stars. I have hard an exciting experience while working with this amazing innovative team. They are always keen to listen and understand your needs. They see your vision before you even unleash what you want to achieve in the end. I would recommend them again and again. They are effective and Innovative as simple as that. No better words can describe them more than that. They should be specific on timing ! Role: Coordinador de seguridad TI at EDENORTE, S.A. I greatly enjoyed working with these guys. They recommended me what would work best for my website/App - (Dr Citas - Clinic Management Application) and tweaked their solutions according to my requirements. I never felt like I had to go along with every suggestion that was made. 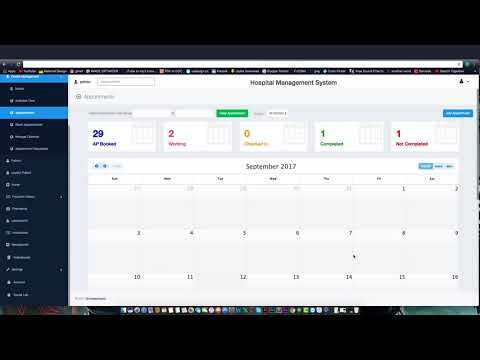 We approached Consagous in February 2018 to build 2 apps and admin console that communicated with each other. My point of contact Bhavesh, was awesome from the start. He looked at our requirements and assured me that they can complete the project. The project was a 6 month project that produced 2 wonderful apps and web admin console. This was a difficult project that required high attention to detail because we have 3 products that must communicate with each other in real time. The apps are stunning, and most importantly they work well. Consagous went over and beyond to make sure all of our concerns were met. Special thanks again to Bhavesh and his team including Manish, we have an app that is enterprise ready. We will retain Consagous for future work and would highly recommend their services. The designer/artist, Ambuj, proved to be very skilled in the creation and editing of motion graphics. He readily made changes and added material to conform to my requests and was very pleasant to work with. The Business Development Manager, Ms. Ankita Bhandari, was an excellent go-between in my interaction with people at Consagous. She speaks English very clearly and both quickly and accurately picked up and communicated my instructions. She was very easy to work with, communicating a dedication to honesty, professionalism and good will. I heartily recommend the team at Consagous. Consagous Technologies It is a company with very high quality experience in service, as a company Mobile & Blockchain Experts work with a friendly process which makes it easy project management to reach the desired goal. For our company, working with Consagous Technologies was a very effective and efficient process which made it easier for us to reach the goal of our project. Their experience and knowledge allowed us to advance in each stage of our project in a positive way. Great service and care for what's best for the customer! Consagous is scalable, flexible and highly cost-effective. They manage complex algorithms amazingly and always available to answer any questions we have promptly. They did an excellent job setting up our site and I would highly recommend them to others looking for a design and development team. AddyPin - Consagous team overall rating is mostly on the very good side, they need a strong Product/Project Manager to get things going right and I myself could get very good quality, but that was mostly at the cost of time where I had to be resourceful, explain often more than once where and how to solve problems. The team need to be more focused, diligent, and enhance their communication. Time wasted on repeated jobs could be reduced by at least third if more focus and proactivity is considered. The way from Good to Great is not far for them. Consagous is incredibly organized and honest. Instead of entertaining ideas that don’t fit the project, they proactively re-evaluate and innovate. They adhere to project blueprints and perform development sprints as scheduled. The app design is sophisticated yet accessible. Consagous provided the company with quality resources, and care deeply about customer satisfaction. The team was diligent and were able to resolve issues immediately. Our company has worked with Consagous on a few projects over the past couple of years. They are definitely reliable and trustworthy. Team takes the time to understand your requirements and communication is excellent. Consagous is a professional and effective team of developers. They completed our project on time and on budget. They responded very quickly to requests and questions, and accommodated working across multiple time zones. They had a strong grasp of our end goal, and operated as a true partner. They were also friendly and easy to work with. Mobile Application Development - Native iOS & Android apps, Cross-platform apps on Xamarin, Apps for Wearables, Enterprise Apps, Demand Services Apps, Fintech Applications, Chatbots and AI, mHealth apps, Mobile Payment apps, Blockchain Apps, and Progressive Web App (PWA). Award-winning Software, Web and Mobile app development company in USA, India, UK, Australia. Founded in 2008, we believe in delivering efficient and simple software solutions across various domains including Healthcare, Banking, Education, Logistics etc. The customer retention rate stands at a whopping 99% for customers from the USA. Consagous is a technology consulting company specializing in advanced business intelligence, Big Data, Artificial Intelligence, Blockchain development across USA, UK, UAE, AU, and India. Consagous aims to create a transformative impact for businesses with agile work practices in Mobile app and Web Solutions across a broad range of technologies including Android, iPhone/iOS, NodeJS, Angular JS, Kotlin, Flutter, PHP – Symfony2, Laravel, Codeigniter, MYSQL, Oracle, LAMP, WordPress, Magento, Drupal, E-commerce Development.